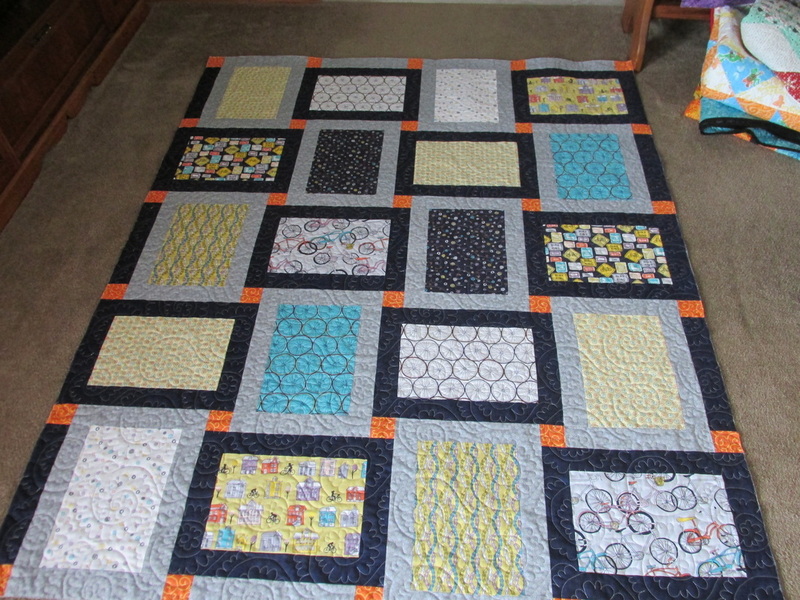 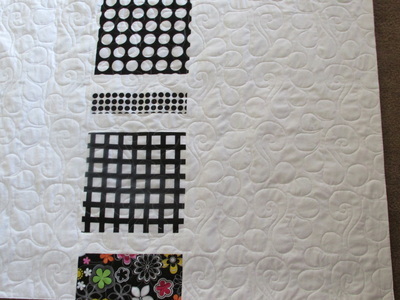 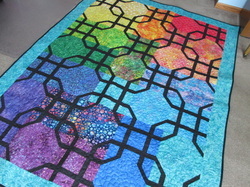 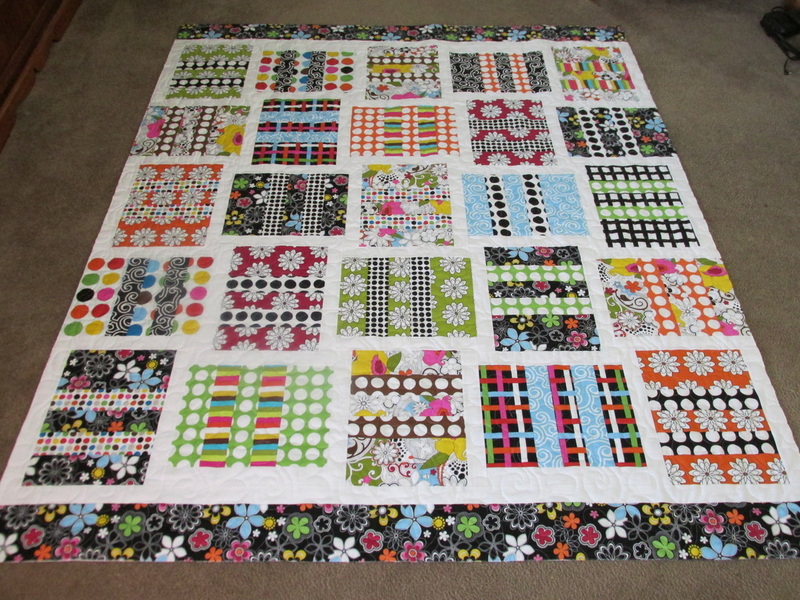 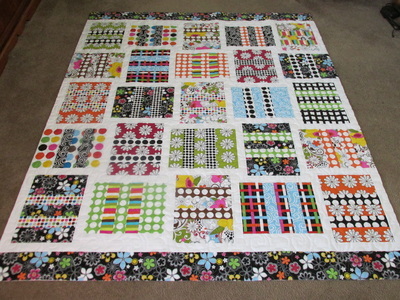 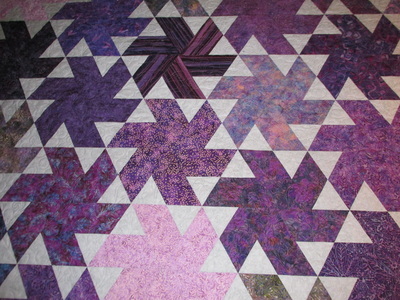 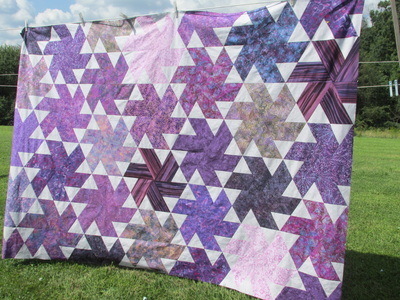 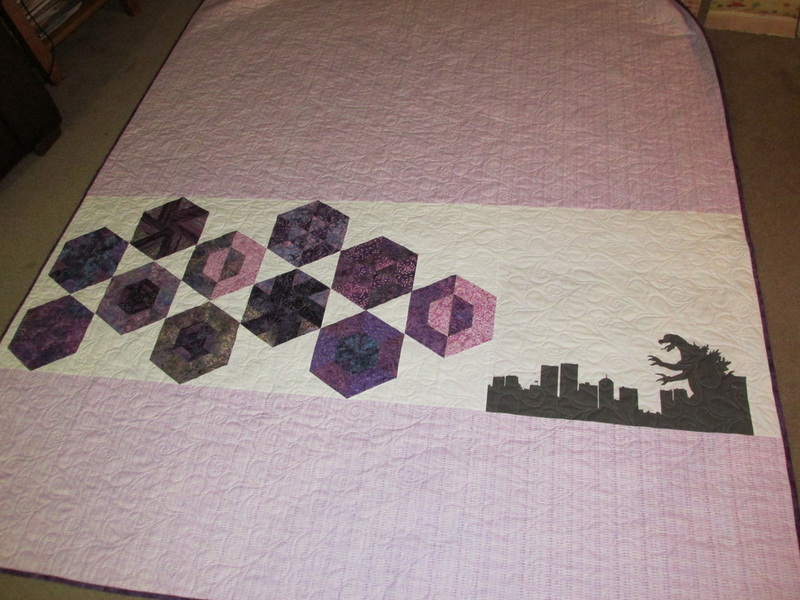 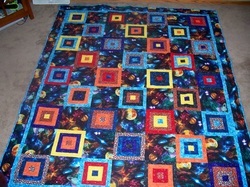 This is my quilt made with just snowball blocks and white sashing. 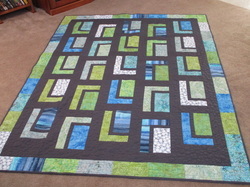 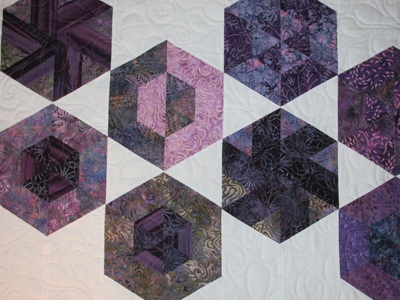 I used 2 charm packs from a fabric line by Deb Strain. 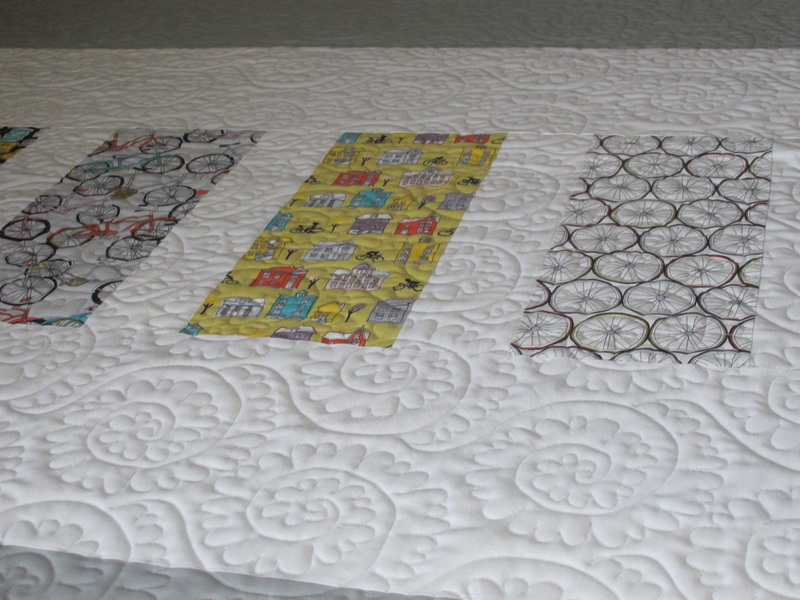 I quilted it using my Janome on the kitchen table. 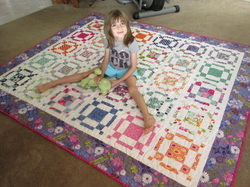 It was made in the middle of a snowstorm, and the spring fabrics were perfect! 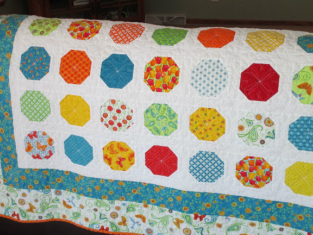 Yellow flannel on the back makes it very warm.